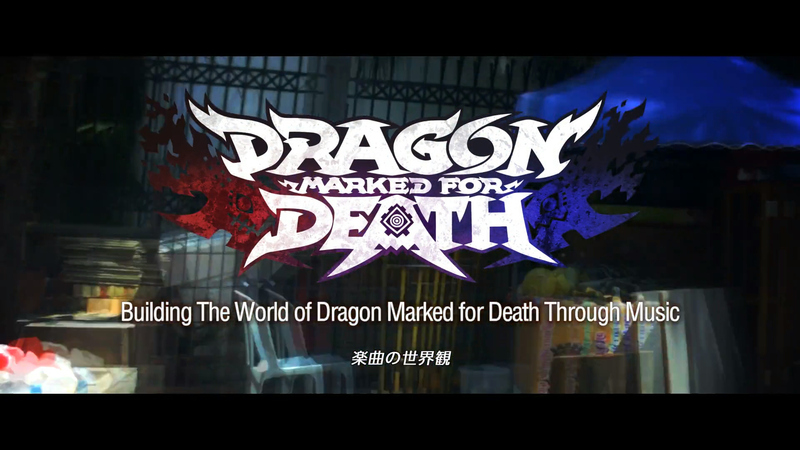 Dragon Marked For Death Is Now Available! Anniversary Wallpaper, Patch Notes & New Music Video! The tale of the Dragonblood Clan can now be told! That’s right, Dragon Marked for Death is now available on Nintendo Switch in both North America and Europe! 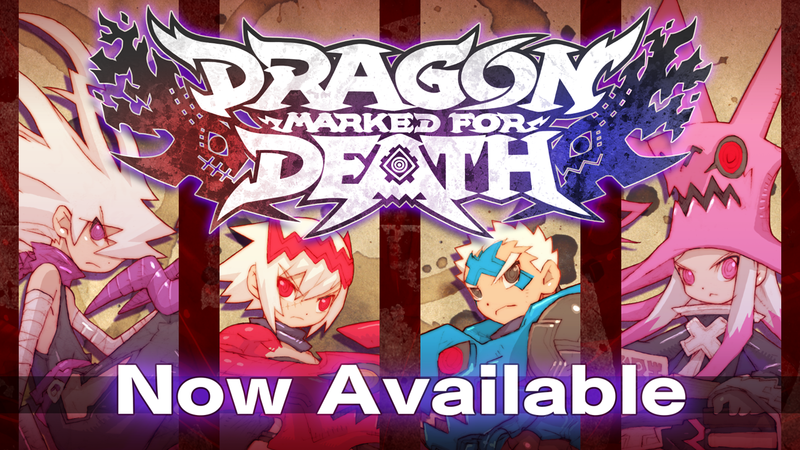 Download Dragon Marked for Death: Frontline Fighters, which contains the Empress and Warrior playable characters, and Dragon Marked for Death: Advanced Attackers, which contains the Shinobi and Witch playable characters, for $14.99 each! We hope you all enjoy the game! Now, with that said, here’s a few new bits of information for you! 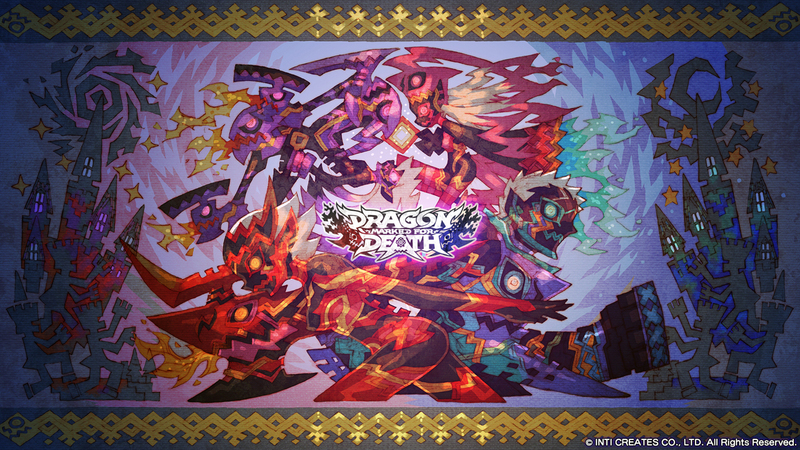 Since we really wanted to celebrate the release of Dragon Marked for Death, we went to the game’s official illustrator, Mr. Toru Nakayama, and asked him to put together a brand new wallpaper for you! Adorn your desktop with this epic mural-style depiction of the Dragonblood Blood clan as you begin your adventure on the continent of Remlia! Download it here! ・Japanese voices can now be selected and assigned during character creation. Four additional voice options have been added for each character. ・You can now reallocate your bonus stat points by using a “Dragonite” item. 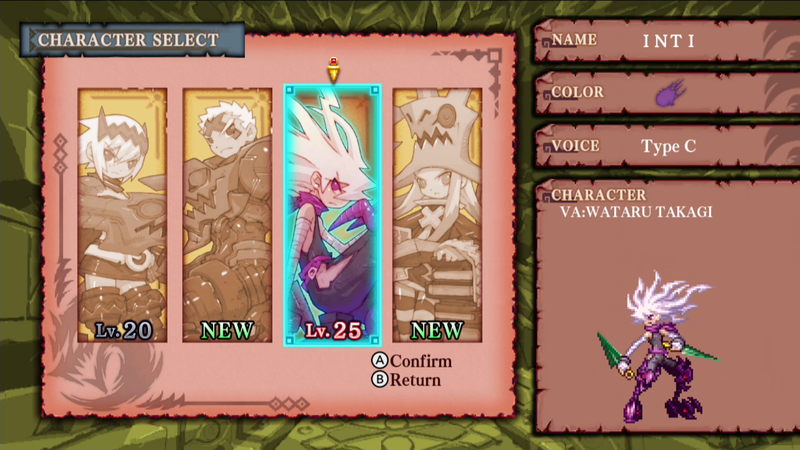 ・Character levels are now displayed on the character select screen, with unused characters being marked as “NEW”. ・The durability of Dragon Spheres has been adjusted. ・Detailed information about items obtained on quests can now be viewed on the Quest Results screen. ・When your character levels up, information about what each stat parameter does will be visible. ・Players can now change their equipment and more while waiting in the matchmaking lobby. Therefore, changes to the user interface and how that information is displayed have been changed. ・Pre-set chat commands have been changed. ・If a connection error occurs during a multiplayer game, the player will have the option of continuing the quest in solo mode. ・After finishing a quest in multiplayer, players will no longer have to wait for everyone to finish before being able to return to the matchmaking lobby. ・Abandoning a quest midway through will require agreement from other party members. ・Search conditions for Open Matching in online multiplayer games have been changed. ・Parties will no longer be automatically disbanded after completing a quest in online multiplayer. ・Improved overall connection stability in online multiplayer modes. 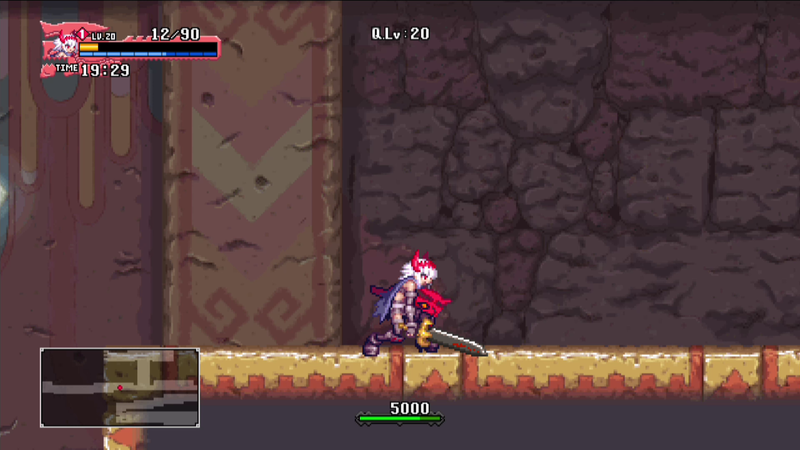 ・Playable characters will now look tired with their health is low. ・Attack power stats for all playable characters have been adjusted. 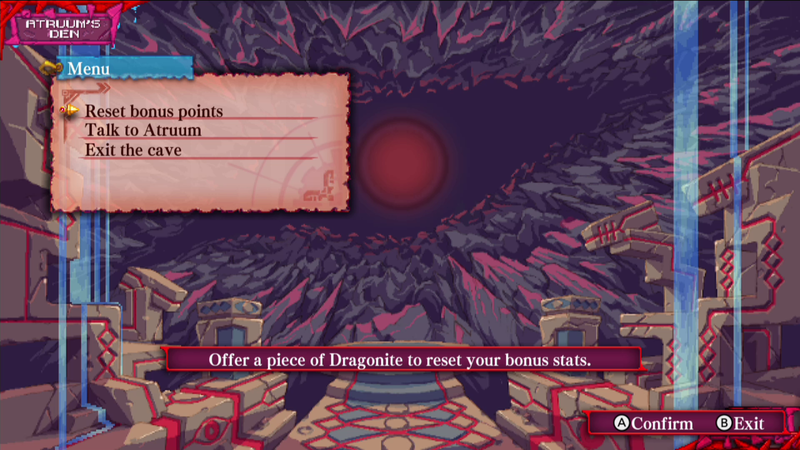 ・The rate of recovery for each playable character’s Dragon Points has been adjusted. ・The amount that Dragon Skill attack power increases by raising the PIE stat has been adjusted. ・The power of the Warrior’s Dragon Guard and the amount of HP the Witch’s recovery magic can heal are now based on the PIE stat. ・The attack power of the 4th slash in the Empress’s combo attack and her jump attack have been adjusted. Additionally, the number of attacks she can do has also been adjusted. ・The Witch’s PIE stat now determines the length of time she can hold onto a prepared spell. ・The amount of hate generated by various actions has been changed. ・The types of actions that generate hate have been adjusted. ・The conditions required to obtain the game’s various endings have been changed. ・Various messages related to your progress in the story have been added. ・The difficulty level(s) that can be selected for some quests have been changed. ・The types of rare drops that can be obtained from treasure chests and the rate of rare drops have been changed. ・The line-up of equipment available from the shops in town has been changed a bit. ・The prices and effects of items sold in stores have been changed. ・Stat parameters for various monsters have been adjusted. ・Various types of small bugs have been fixed. With the ability to reset your character’s bonus stats, players can be as particular as they want with their character’s growth! Extra motions, such as signs of fatigue when the character is at low health, add another layer of depth to the characters! Players can enjoy increased playability with the new UI improvements! We couldn’t be happier at the fact that Dragon Marked for Death has the first fully orchestrated soundtrack in Inti Creates history! The creation of this soundtrack took Inti sound team leader Ippo Yamada around the world as he traveled to the United States, Czech Republic, Slovak Republic, Malaysia, and Okinawa to work with teams of talented musicians and producers. 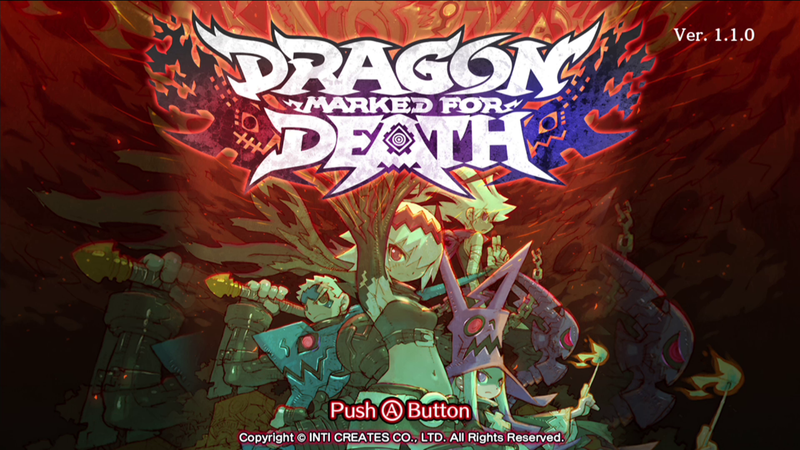 Here you can get a taste of the music from each of the five nations of Dragon Marked for Death and the kind of sounds that brings them to life! Previous PostDragon Marked for Death 2-Hour Special Livestream on January 30thNext PostThe Steam Lunar New Year Sale is Underway!